The Glut1 Deficiency Foundation conducts an online fundraiser each year from Valentine’s Day, February 14th to Rare Disease Day, February 28th (or 29th in a Leap Year). 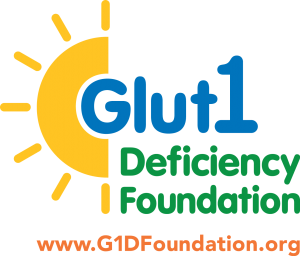 It is the only official fundraiser conducted by the G1D Foundation, and all proceeds help the Foundation in its mission of educating others, increasing awareness of and advocacy for Glut1 Deficiency, and supporting researchers as they work for better treatments and and ultimate cure. We are so grateful for the fundraising families and the individual donors who have helped make each of our campaigns a success. We thank each and every person who has played a part and hope to be able to count on you in our next Love Some1 with Glut1 campaign. Please look around our website to learn more about our projects, and use the donate button if you’d like to make a contribution to the work of the G1D Foundation.